The Climate Change is getting fiercely than ever. The Northern Hemisphere such as Europe and North America currently are under ice, wind, and storms which has caused severe damages. On the contrary, the Southern Hemisphere like Australia is attacked by heat waves and it has caused wild fires everywhere in the continent. 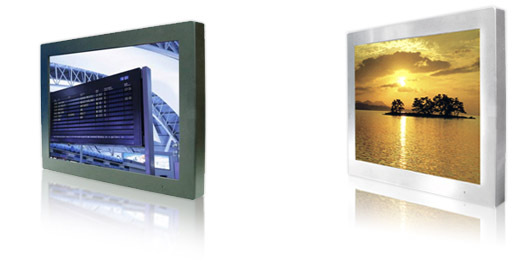 Winmate releases the wide range temperature Panel PC which can survive in those harsh environments. Integrated with selected-LCD modules, and Intel Atom platform, this PC can deliver optimum performance over a wide range of temperatures at least from -20 to 60 °C in order to fulfill applications such as outdoor Kiosks in winter and summer. Except the benefits of Wide Range Temperature, we choose Intel Atom platform to this solution which provides a High Performance, Low Power and fanless design with highest reliability, industrial grade and best performance-per-watt. the system on and keep the temperature above 0 °C. On the other hand, at the high temperature condition. The power will turn off when it over 65 °C, and will go back to be turned on when the internal temperature drops back to below 55 °C. Combined with mechanical NMEA/IP degree front bezel and other optional modules, the wide temperature range system technology shows excellent reliability in harsh environment application.